Following years of struggles, the province is projected to continue on a positive economic growth trajectory. Heading into 2015, the Canadian market, and the province of Ontario, offer compelling cases for business investment. In Canada, business confidence is returning, backed by an increase in exports and an improvement in profitability and stronger capital investment prospects. In Ontario, capital investments began to turn around in the second quarter of 2014, and are forecasted to continue in the near term. An improved U.S. economy has fueled the province’s outlook, including an increase in employment numbers, particularly from the service sector. Ontario is also home to a large proportion of the international immigrants that come to Canada, which is a source of growth for the provincial labor force and housing demand. 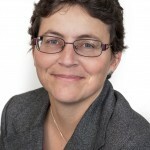 We asked Marie-Christine Bernard, associate director, provincial forecast, Conference Board of Canada, to weigh in as to the opportunities and challenges of business investment in Ontario. The board is an independent, not-for-profit, evidenced-based applied research organization in Canada. Part of its expertise focuses on developing forecasts and economic analysis. Rachel Duran: How is the Canadian economy shaping up as we enter the 2015 calendar year? Marie-Christine Bernard: Right now we are seeing the Canadian economy improve and we expect it to continue in 2015. One of the areas of strength will be the trade sector. The weaker Canadian dollar and stronger growth in the U.S. economy will boost Canadian exports. The town of Ajax reduces the risk for business investment, including streamlined permit programs, and as the home of Canada’s first U.S. site selector certified property, which means the site has met certain criteria and is project ready. The PriorityPath program, designed to help small and medium-sized companies with expansions in Ajax, will be joined in 2015 with the PriorityPath Prime program. 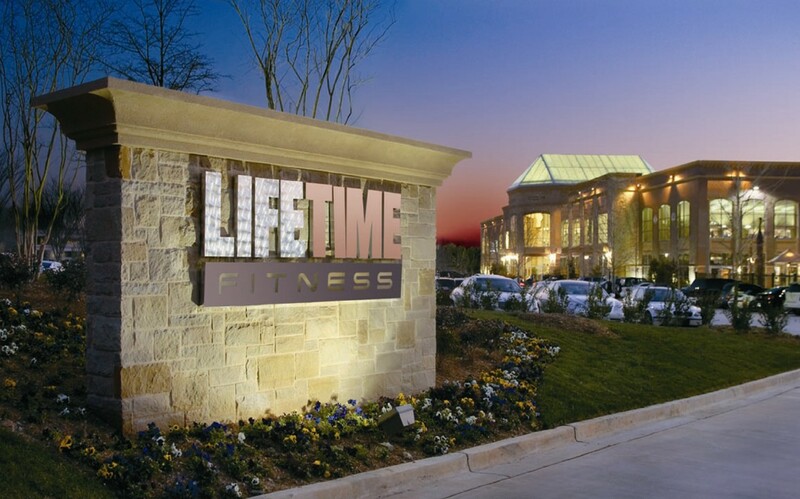 PriorityPath Prime was the result of success with a large project for Life Time Fitness, which has 111 locations in the United States, and which has opened up a second Canadian location in Ajax. 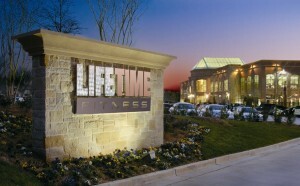 Officials made use of the PriorityPath program to meet the company’s compressed time line; it will open early this year. “We want to pass along as much information that investors can use to build their business cases,” Hausz says. For example, Webster Global Site Selectors certified a site, which is located in 700 acres of pre-zoned and pre-serviced land, which Hausz says is one of the largest shovel-ready inventories in the Greater Toronto Area. For complete details, visit www.ajaxfirstforbusiness.ca. We expect the Canadian dollar to hover near the 90 cents level over the next few years. In regard to capital investment, in 2014, it was a source of disappointment. The weakness was widespread. However, with the stronger Canadian economy we expect a pickup in exports. We also see an increase in capacity utilization is improving corporate profits for several sectors. Business confidence is coming back. This year, improved capital investments will be a positive factor for Canada. Overall the economy was expected to advance by 2.2 percent in 2014, and 2.6 percent in 2015. The monetary policy shouldn’t be much different in Canada than in the United States. We don’t anticipate an increase in interest rates in Canada before the end of 2015. The policy should be the same with small increases in interest rates at first, so it will not put any pressure on the Canadian dollar. This is another reason we see the Canadian dollar averaging 90 cents or 91 cents over the next few years. Duran: The province of Ontario’s economy has suffered the last several years. What does the future look like? Bernard: While the last several years have been difficult in the Ontario economy, we are seeing an improvement right now. At the beginning of 2014, similar to what took place in the United States, the cold weather affected the Ontario economy. But it came back strongly in the second quarter. The latest economic indicators are positive for Ontario. We feel that this momentum will carry into 2015, and we should see similar growth rates in Ontario as we see in Canada —2.6 percent in 2015, up from 1.9 percent in 2014. Similar to the Canadian story, capital investment into Ontario had been in decline for several quarters. It turned around in the second quarter of 2014 and we expect improvements to continue in regard to capital investments in the near term. We are also seeing stronger exports out of Ontario, improving business confidence, which should continue to encourage private investment. It should also continue to fuel strong job growth in Ontario. The Canadian job market did not perform well in 2014, but in Ontario it did quite well. The Win the Human Race campaign takes a look at the city of Mississauga through the lens of the area’s talent capability. “Time and again companies tell us they are appreciative of the talent they find here,” says Susan Amring, director of economic development for Mississauga. The city was incorporated in 1974 and is part of the Greater Toronto Area. 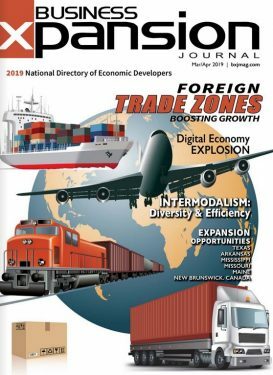 Economic development officials are also working to expand their global business community, leveraging the presence of numerous Japanese and German companies already in the city. Investors will find assets such as the fact that two-thirds of the adult population in the city holds some type of postsecondary training. 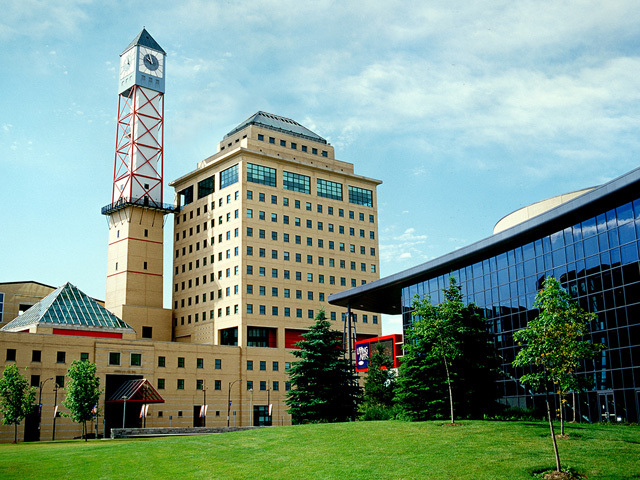 The community is home to the University of Toronto-Mississauga campus, which has an emphasis in biotechnology instruction; and a campus for Sheridan College, which is located downtown and is underway with a second phase. Amring says the community is doing a good of keeping graduates in the area, working for industries that thrive in the community, such as life sciences, ICT and advanced manufacturing. “Within the university there is a communications culture and information technology culture recognizing how important they are for the future of every sector,” Amring says. Amring points out that the region is enhancing lifestyle amenities to appeal to the talent base. The Downtown21 Master Plan will concentrate on making downtown more of a “place.” Outside of the Civic Centre and Living Arts Centre is Celebration Square, where citizens congregate in the city center to enjoy theatre in the park and concerts in the summer, and ice skating in the winter. Officials are also in the design stages for a light rail line to serve the area, making transit connections that foster pedestrian-friendly neighborhoods. For complete details, visit www.winthehumanrace.ca. What’s more, the Ontario economy will get a boost from public investments. The government has committed a lot of funds for infrastructure projects in the Greater Toronto Area and in Ottawa. We also expect stability in the housing market; however mortgage rates are expected to increase over the near term. At the same time we will see a stronger job market, and income growth will also be stronger, so that should compensate for the fact that affordability may be affected by higher mortgage rates. Duran: What are the economic challenges for Ontario? Bernard: Perhaps the only negative factor is the fiscal balance. Ontario is still running a large deficit. They plan to balance the budget by 2017 or 2018. It is an ambitious plan to control spending and boost revenues so there will be tough decisions if the books are to be balanced by their target. Duran: What industries are fueling job growth in the province? Bernard: In Ontario it is a lot about the service sector. We expect nearly 100,000 new jobs in 2015. About three quarters of the jobs will be in the service sector, finance sector, transportation, wholesale, retail, trade, health care and education. Duran: In regard to manufacturing activities, how is the auto industry faring in the province? Bernard: Not too badly. Vehicle sales are up in the United States, and Ontario benefits from this. Right now it is supporting the Ontario economy. There haven’t been a lot of commitments for investment; however, in November, Honda announced an investment in Ontario. A lot of the investment in the auto industry is going into the Southern states of the United States or to Mexico. In the longer term the growth potential for the auto industry is not that great. Duran: What does the Conference Board of Canada forecast in regard to business confidence and investment in Ontario? Bernard: Business confidence is linked to the state of the global economy, and in Canada also to the state of the U.S. economy. 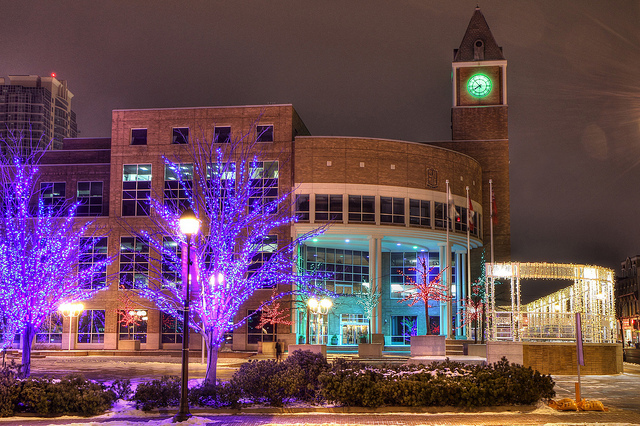 The city of Brampton is a people-powered economy, the ninth-largest city in Canada, and the third largest in the Greater Toronto Area (GTA), home to more than 595,000 people. The city has one of the youngest populations in Canada, where 34 years is the average age of its citizens. “The skill set and talent is coming in from all over the world,” says Sohail Saeed, director of economic development, city of Brampton. Saeed says because of the international influences in the economy, four sectors have been growing simultaneously, including advanced manufacturing, where the auto industry is one of the largest sectors. Food processing and packaging also thrive in the community. At Sheridan College’s Davis Campus in Brampton, the CAMDT-ABB Robotics Centre has 12 robots provided by ABB to support manufacturing activities. In addition to automation-related research, additive manufacturing and rapid prototyping are also under research, among other areas. The logistics cluster is well established in Brampton, which provides access to 150 million people within a one-hour flight or a one-day drive. “We are the only community left in the GTA, closest to the airport, which has thousands of acres of available industrial land; Brampton is only 60 percent built out,” Saeed says. This is welcome news to businesses that take root in the community, including the emerging information, and communications technology sector, which Saeed says is the community’s future. “ICT companies start with one or two employees and become 100 person companies down the road,” he says. This year, Brampton’s officials will also focus on building out a biomedical health district in the community. 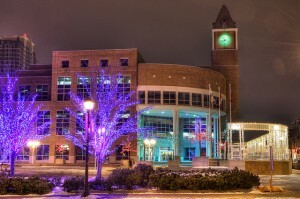 For complete details, visit www.brampton.ca. Because the U.S. economy is doing better, we also saw an improvement in profitability, which helps business confidence. That is one of the factors playing into capital investments, which is a positive for the province. Duran: What tips should executives consider when investing in Ontario and/or Canada? Bernard: It has been a few difficult years for Ontario, but the economy is settling, which is a positive. The manufacturing sector will never recover to the state that it was 10 years ago, but it is stabilizing. We did see some job growth in the manufacturing sector. The positives for Ontario are the strength of its service sector. Ontario also welcomes a good proportion of the international immigrants that come to Canada. That is a source of growth for the province as they need housing and provide a boost to the domestic economy. This will also be good for the labor force. It will be one of Ontario’s key attributes going forward compared to other provinces that have difficulty in attracting international immigrants. 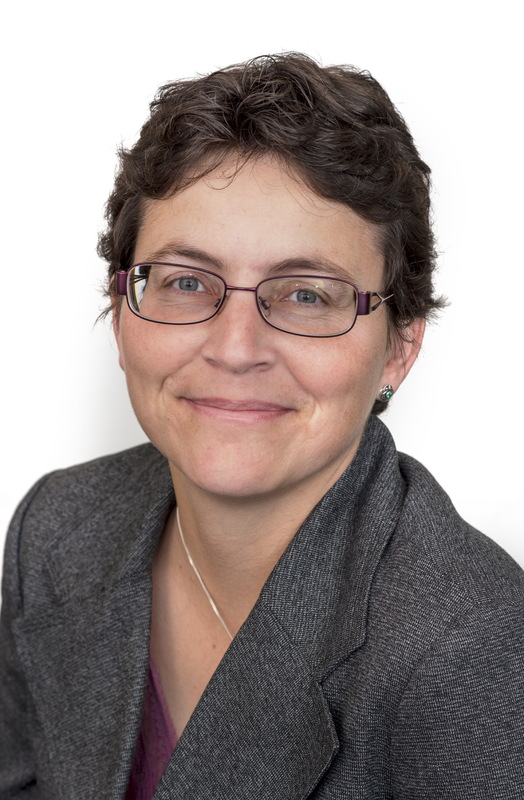 Marie-Christine Bernard is the associate director, provincial forecast, for the Conference Board of Canada. She can be reached by emailing bernard@conferenceboard.ca or by visiting www.conferenceboard.ca.